Karen joined Haldanes as a trainee solicitor in 2013. After qualifying as a solicitor in 2015, she has focused her practice in the firm’s Corporate & Commercial and Media & Entertainment Departments. 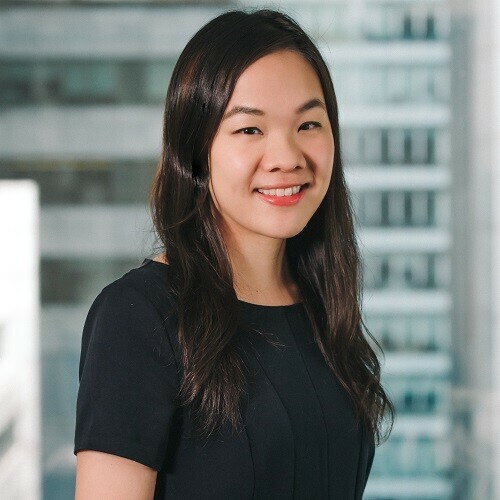 Karen has experience advising corporate and individual clients on a wide range of commercial contracts and transactions, such as mergers and acquisitions (including due diligence), sale and purchase agreements, shareholders agreements, sponsorship agreements, service agreements and consultancy agreements. In the media and entertainment sector, Karen has handled film and television production and talent arrangements, including advising clients on licencing arrangements, film and television production services agreements and management agreements. She also has experience advising clients on immigration and employment matters. Prior to obtaining her law degree, Karen has experience working in a digital media company in the United States as a Senior Media Strategist. Haldanes Solicitors & Notaries is an award winning Hong Kong-based law firm with clients both locally and throughout the Asia region. Established in 1975, our experienced partners have an extensive understanding of legal practice in Hong Kong, Asia and internationally. © Haldanes 2018. All Rights Reserved.